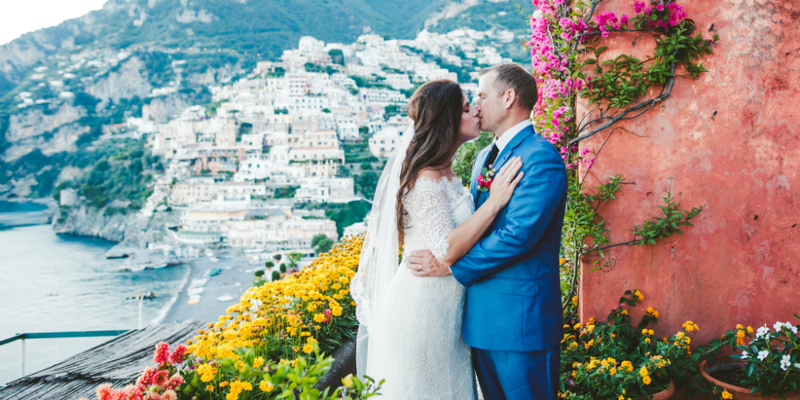 So you’ve chosen to get married on the Amalfi Coast, and we can’t fault your choice. The Amalfi Coast is a slice of Paradise nestled in the Mediterranean: located behind Sorrento facing the Gulf of Salerno, this area is perfect for hosting weddings and receptions. You’re not familiar with the area? Haven’t a clue whom to contact or how to go about organizing the flower arrangements? Don’t know which restaurant to book for the wedding reception? Don’t worry – you have a wedding planning agency at your side: we know the area inside and out and our team will organize an unforgettable wedding for you on the Amalfi Coast. We will be your wedding planner and designer, fulfill all your wishes for your wedding on the Amalfi Coast. We have great attention to detail, but most of all we understand your dream: to fulfill your desires in an exceptional setting. And this setting is the Divine Coastline. Have you already decided on the venue? The Amalfi Coast is a favorite place for couples celebrating both civil and religious marriages. The reason? It offers spectacular locations, venues that take your breath away. But for those who aren’t familiar with the area, it’s difficult to get around. There are dozens of alternatives, all very inviting: which one do you prefer? 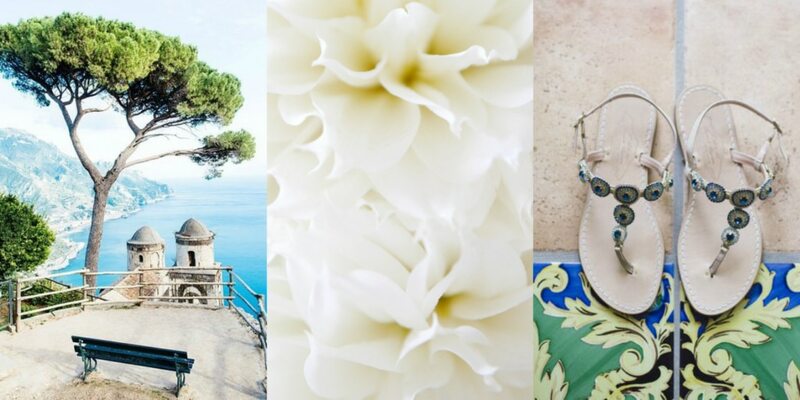 A villa in Ravello – Why not organize your wedding on the terrace of a villa in Ravello? As your gaze melts into the blue of the sea, the most important “yes” of your life will become all the more special. A 5-star hotel – Maybe overlooking the sea, with a health spa and infinity swimming pool that blends with the Mediterranean. To get married on the Amalfi Coast means also enjoying the comforts of a 5-star hotel. A church of a seaside town – You’ve only got to choose. Do you want to organize a wedding in Positano? In Amalfi, or maybe in one of the many waterfront towns on the Amalfi Coast? You’ll be hard-pressed to encounter the magic of these places anywhere else in the world. On the seashore – Amalfi, Positano, Furore, Vietri sul Mare. Your dream is to get married by the sea, on one of the most beautiful beaches of the Amalfi Coast. We’ll help you choose the right location, so as to make the most out of your religious or civil ceremony. How much does a wedding cost on the Amalfi Coast? It depends on your requirements, your needs and your desires. We can help you at every stage of the wedding, from the planning of the event to the welcoming of your guests. We can organize excursions before and after the ceremony to the most beautiful places of the Amalfi Coast, and we also arrange transfers to and from Naples and the surrounding areas. Just send us an email or fill out the form and we’ll start organizing!